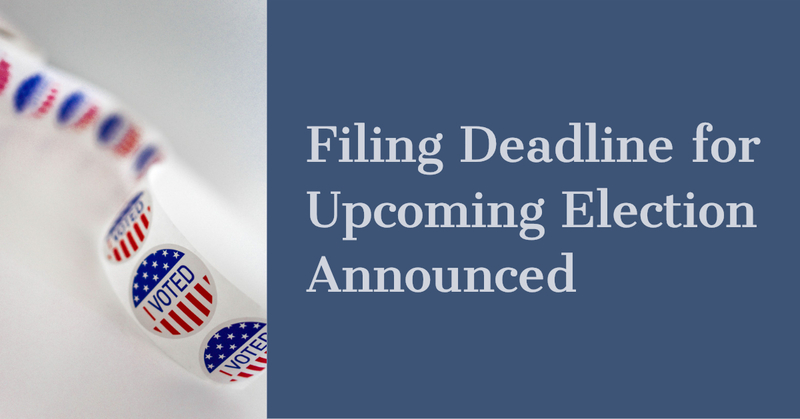 Filing deadline for upcoming election is today. Joy Naifeh, Secretary of the County Election Board, said the filing period ends at 5 p.m. Wednesday, February 6. Candidates for municipal office in six Creek County municipalities may file Declarations of Candidacy beginning at 8 a.m. Monday, February 4. TOWN OF DEPEW: Three trustees. CITY OF OILTON: Councilmember: Ward One, Ward Two, Ward Three, Ward Four, Ward One, unexpired term; Ward Three, unexpired term; Mayor. The municipal offices at stake will be filled in the nonpartisan election scheduled April 2, 2019. Contact Creek County Election Board for additional information.